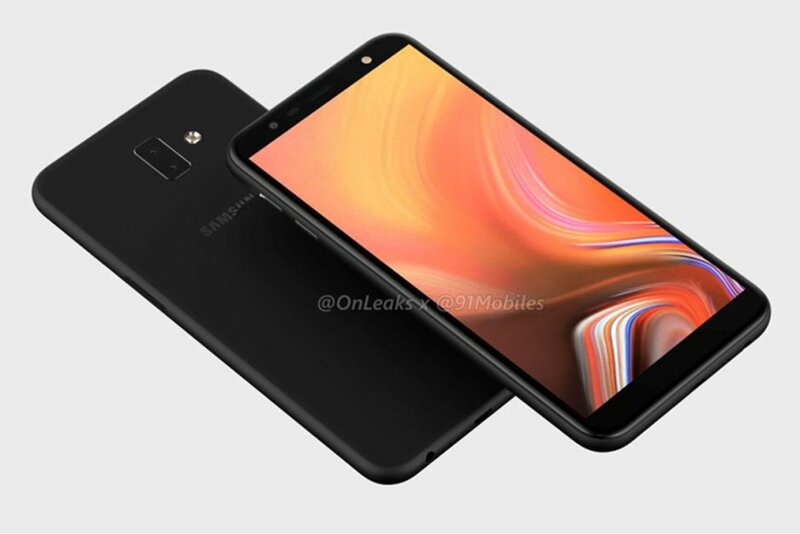 Samsung Galaxy J6 Prime Renders Appear in Video; Launch Seem Imminent - Playfuldroid! Few months ago, Samsung had debut the Galaxy J6 and Galaxy J4 smartphones in India. Recent reports have claimed that the company is readying Galaxy J6 Prime and Galaxy J4 Prime with slightly better specifications. Today, well-known tipster Roland Quandt has shared 360-degree renders of the Galaxy J6 Prime to showcase its design and some specs. The most striking change on the Galaxy J6 Prime is the presence of vertical dual camera setup since the J6 phone features a single camera. Like the J6, the Prime variant lacks a rear-facing fingerprint scanner. It is speculated that the power button on the right side of the phone could be embedded with the biometric recognition feature. The external speaker is also available on the right side of the device. The volume controllers are positioned on the left edge of the phone. The Galaxy J6 Prime will be featuring an 18.5:9 aspect ratio supporting Infinity Display of 6 inches claims the tipster. The screen of the phone will be offering HD+ resolution of 1520 x 720 pixels. The Snapdragon 450 chipset is expected to power the phone. The 32 GB and 64 GB variants of the J6 Prime may respectively feature 3 GB and 4 GB of RAM. As of this writing, there is no information on the exact configuration of the dual camera setup and its selfie camera. The battery size of the phone is also unavailable. The leaks surrounding the J6 Prime suggests that its arrival may not be far away.